Create an owl themed birthday party with Owl Pal Birthday accessories. 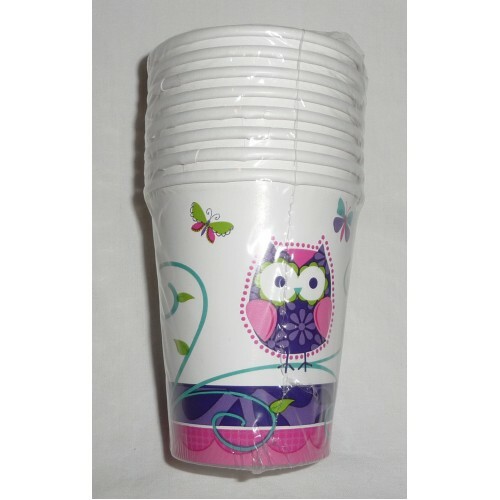 Use owl pal birthday cups for the party drinks and then dispose of in the bin for an easy cleanup. 266 ml paper cups supplied in a pack of 8. Loot or party bags are an essential at any birthday party. Perfect for that owl themed birthday part..
Owl Pal Birthday Lunch Napkins are an essential for any birthday party. These serviettes may be used..
Owl Pal Birthday Luncheon Plates complete your party theme of owls with matching cups, napkins and l..
© Copyright Pink Petunias 2009 - 2019. All rights Reserved. ABN 81 501 917 790.